This month, 15 festivals and events with various themes, ranging from culture to sports, will take place across the country. The following is a list of the festivals, which are included in this year's 100 Wonderful Indonesian Events Calendar, as reported by kompas.com. Held at Lake Kerinci in Kerinci regency, Jambi, the Lake Kerinci Festival will take place from Oct. 3 to 7. It will feature a cultural parade, large dances, culinary stands, art performances, and dance and limerick competitions. Residents and visitors are welcome to participate. Kustom Fest, the biggest custom motorcycle exhibition and competition in Indonesia, will be held on Oct. 6 and 7 at the Jogja Expo Center, Yogyakarta. Indonesia Art Mart has been held annually for over a decade and it is the biggest meeting place for realist painters. The event will run from Oct. 12 to 21 at JX International Surabaya, with 200 painters participating. 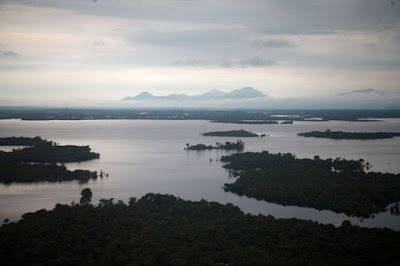 The 11th installment of Archipelago Palace Festival (FKN) will take place in Sumenep, East Java, from Oct. 13 to 18. Forty-three kings and sultans across the country will attend the event, which will feature art and cultural performances. Held from Oct. 14 to 18 in Garut, West Java, a region known for its cool climate and beautiful views, the Wonders of Garut is another event that will feature art and cultural performances. Taking place at Waisai Torang Cinta in Raja Ampat, West Papua, from Oct. 18 to 21, Raja Ampat Festival will feature art performances and exhibitions, culinary stands and fun competitions. World and traditional music lovers will enjoy Sawahlunto International Music Festival, which will present ethnic, contemporary and modern music performances, as well as discussions and workshops. Participants of previous iterations of the event came from the United States, Spain, Japan, Senegal, Ireland and Malaysia. Held in Sawahlunto, West Sumatra, the festival will run from Oct. 19 to 21. 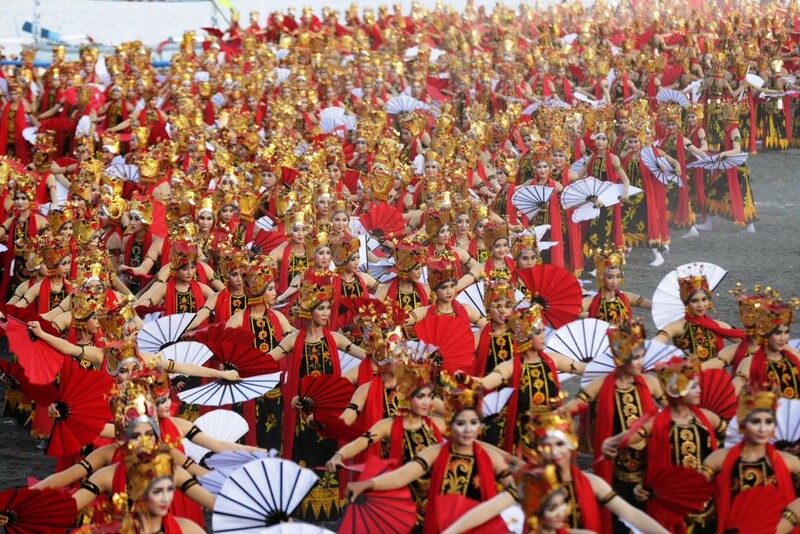 A mass dance, Gandrung Sewu will take place in Banyuwangi, East Java, on Oct. 20. Performed by thousands of dancers, Gandrung Sewu is considered more than just a show as it also symbolizes the Dutch army during the Dutch colonial era. Held from Oct. 25 to Nov. 3 in Ubud, Bali, the Ubud Writers and Readers Festival will bring together renowned international and Indonesian writers and poets such as Anuradha Roy, Hanif Kureishi, Sapardi Djoko Damono, Norman Erikson Pasaribu and Gratiagusti Chananya Rompas. It is considered a platform for cross-cultural dialogue, and will include book launches, culinary workshops and poetry competitions. Irau Malinau Cultural Festival will present traditional dances and art performances from the Dayak Kenyah tribe on Oct. 26 in Malinau regency, North Kalimantan. Featuring art, culture, cuisine, sports and entertainment, Nusa Dua Fiesta will be held in Nusa Dua, Bali, from Oct. 26 to 28. Held on Oct. 27 and 28 in Lukai, East Nusa Tenggara, the Likurai Timor Festival is a celebration of the war dances of Timor, especially in East Nusa Tenggara’s Belu. 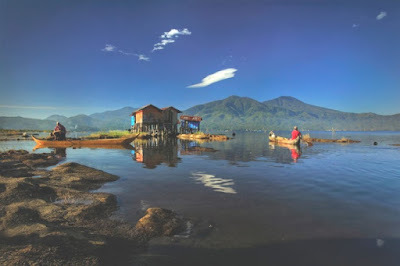 Lake Sentarum Festival covers a wide range of events, such as cruises on Lake Sentarum, a traditional boat parade, an ethnic music event, an arowana fish competition, a cultural carnival and various culinary delights. It will take place at the Badau cross-border post (PLBN) in West Kalimantan from Oct. 27 to 29. Held on Oct. 28 and 29 in Pamekasan, Madura, East Java, the Wonders of Madura will feature a traditional buffalo race, batik fashion show and cultural carnivals.